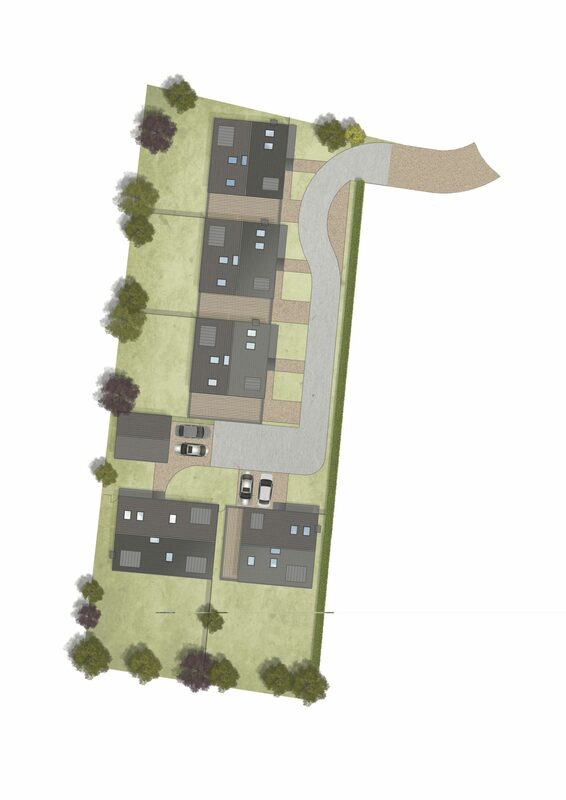 Upcoming developer Live In Developments wanted to develop a plot with a niche bespoke housing development. 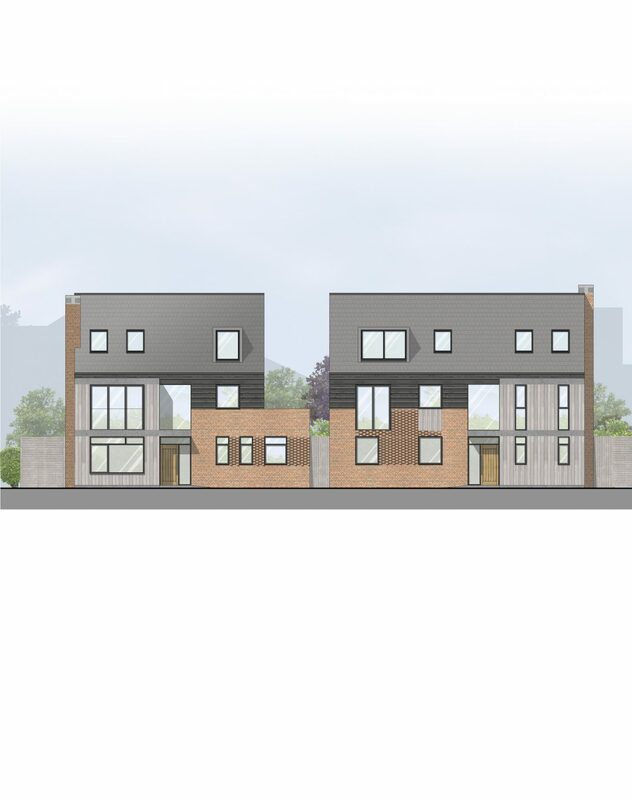 Our task was to create a small-scale housing development that would maximise investment return, while also providing a high-quality contemporary offering not previously available in Stockport. The challenge was to balance planning, commercial, site and other limitations with the goal of providing a high-end architectural solution that would generate high demand and raise the developer’s profile. The nature of the site and the client’s needs leant itself to a shared private driveway solution. 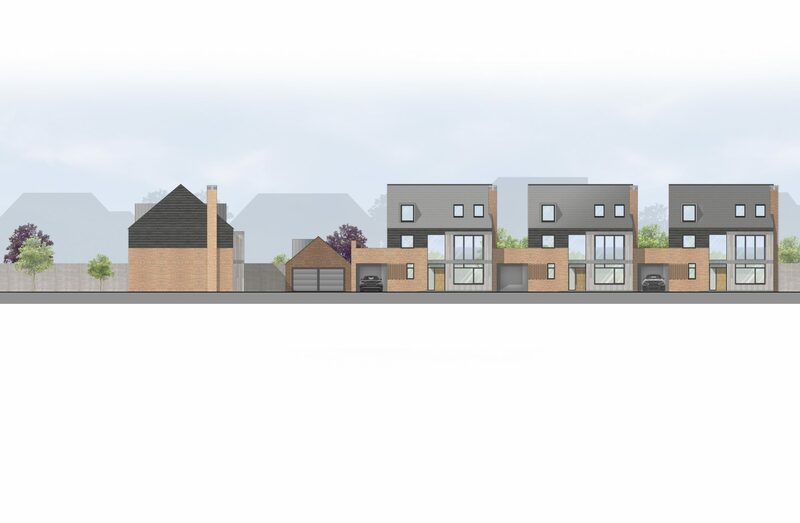 Rather than offer standard detached houses with wasted space between, our proposal was to widen the gaps to allow discrete car parking and provide usable amenity spaces above. This maintains the properties’ detached status, but provides added value and more usable space. It also allowed us to meet the developer’s commercial spatial requirements to make the economic side work and simultaneously exceed some of the planning requirements for housing developments. Architecturally, the typology of the locale has been reinvented with a contemporary twist. using the same palette of materials but in a fresh way, more fitting for the 21st century. The properties boast triple-height feature entrance spaces, with some also having double storey height lounge areas and gallery spaces above. Thanks to a strong relationship built up over time, other than an outline brief, some spatial targets and a vision statement, the client had the confidence to give us complete freedom to produce something special. This level of trust deserves reward and the developer was very pleased with the proposal. Planning required some adjustment, but the proposals were generally well received and are expected to be approved in the near future. "I can’t thank Hive Architects enough for the work they put in helping me get planning on a very difficult application. Their knowledge and understanding of local planning issues is second to none. Getting Hive Architects involved in my development was 100% the correct decision. " Our proposal met the developer’s brief and provided an exciting development with a quality of accommodation not available in the market locally. It is expected that the development will achieve the target yield and be sold off plan.